If you've got an unlocked/international version of HTC's One M8, you might be wondering when your next Android update is coming. According to HTC Vice President of Management Mo Versi, the answer is "late next week." The company is planning an update to Android 4.4.3. 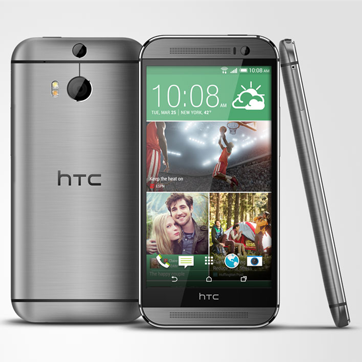 @Kiamat @htcdev @JasonMacHTC @HTCUSA @htc Our target is late next week. Thanks. So why not bump it up to the latest release, 4.4.4? Take it away, Mo. That's a little confusing, since a few security updates are essentially all that there are in 4.4.4. If they can add those changes into a 4.4.3 release, what's the issue with the nomenclature? Of course, for non-Nexus devices, the various software changes to fix small bugs or to improve "skins" and other add-ons are often just as important as the AOSP changes. In any case, it's good to hear an HTC representative re-iterate the company's commitment to releasing Android L quickly. Users of the various carrier-branded versions of the One M8 can expect the update to come a few weeks after the international version, unless you're on Sprint, which has surprisingly already issued the update.